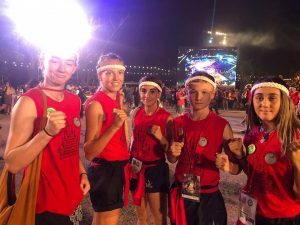 Seven junior Rising Star recipients and their Coach from Kaos Martial Arts in Morayfield all came home with medals and a few World Champion titles after competing at the 4th International & Thai Martial Arts Games and Festival held in Thailand in March. 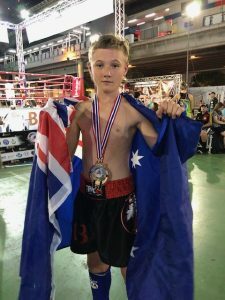 At the event, Josh Marheine made it through to the finals in three divisions to become WKA K1 World Champion, WKA K1 Glory World Champion and Silver medalist in the WMO Muay Boran division. 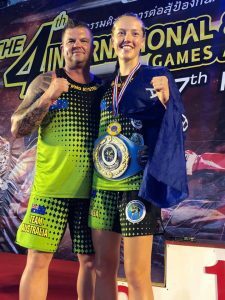 Josephine Rossallen fought a hard three rounds against France and returned to Australia as Muay Boran/Thai World Champ. 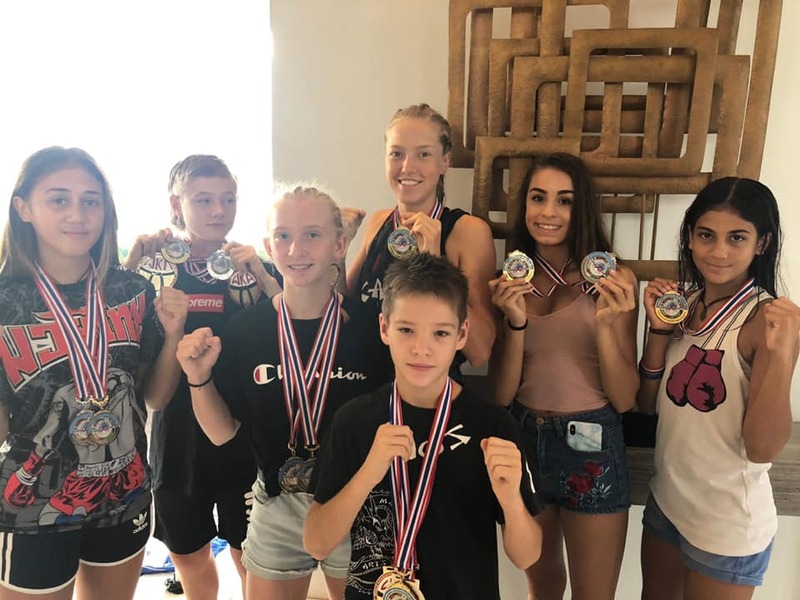 Liana Rossallen won her 10-12 year old age division against France to become Muay Boran/Thai World Champion. Brooke Cooper commented that Australia had the biggest team and between them won 55 medals. “I won the WMO World Championship in the professional Muay Thai 60kg female category,” said Brooke. “They trained for twelve months leading up to the event, five days a week, and also competed in other events before heading to the WMO World Games held in Bangkok. (Above) Brooke after winning her World Championship title. (Above) Some of the rising stars at the opening of the festival. (Above) Josh after winning his World Championship title.